Fillers are substances for filling up of wrinkles and re-contouring of the face and other parts of the body (hands, shoulders, buttocks, calves a.o.). Do you have deep wrinkles from nose to mouth? 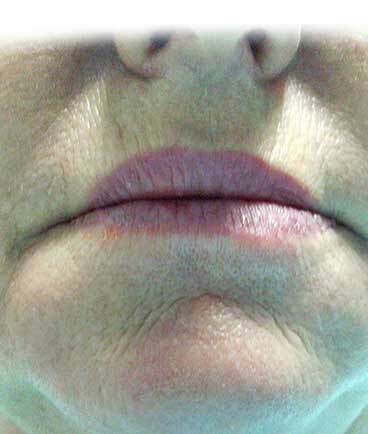 You wish to enlarge your lips or fresh up their contours and eliminate their wrinkledness? Has the firmness of your cheeks and cheekbones gone? Do you have wrinkles between the eyes? 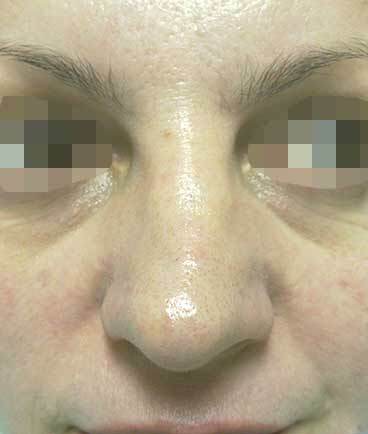 A defect after nose operation? At your disposal are preparations on the base of hyaluronic acid, that produce phantastic effects and have a very short recovery time. The effect is relatively long-lasting, but not permanent. 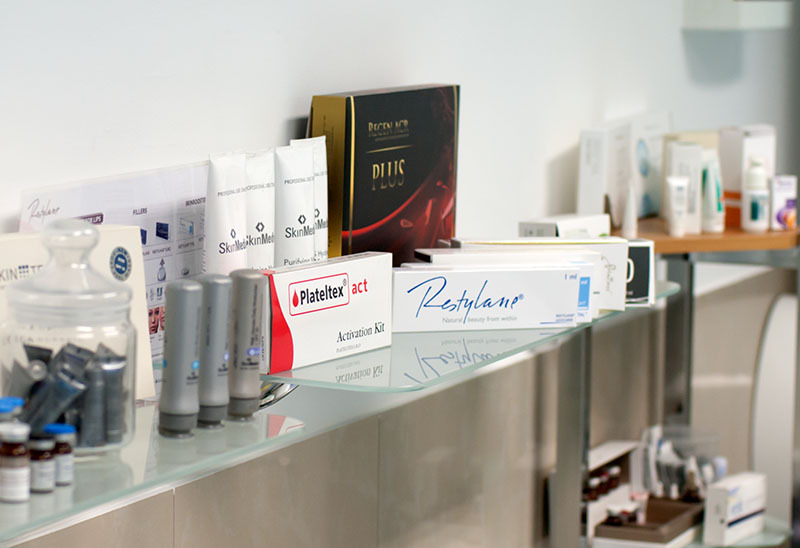 We use different brands of fillers on base of hyaluronic acid. 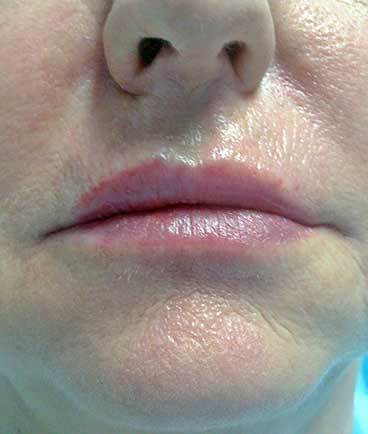 We do not use permanent fillers like acrilates and silicones ! For this procedure your own fat can be used, and this is called lipotransfer. We often mix your fat with the growth factors from your own plasma (PRP). Hyaluronic acid is a poly-saccharide, i.e. natural sugar as normally exists in our body. This substance has very important functions, for it secures the multiplication of cells, elasticity of the skin, and lubrication of the joints. Hyaluronic acid can bind liquid in a 1000 time bigger volume than it has itself, and retains its form for a relatively long time, wich makes this substance the most important ingredient in many cosmetical products. As hyaluronic acid is natural to our body, it does not cause allergy or other undesirable effects. Succesful application requires knowledge, of the application techniques and of anatomy, and a feeling of aesthetics. 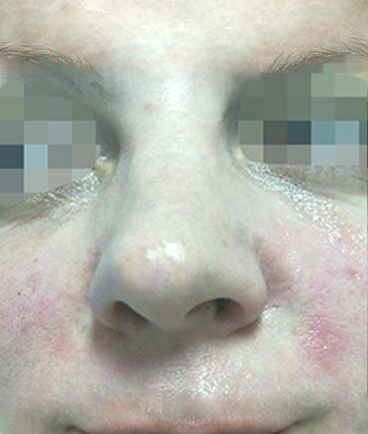 It is neccesary for your physician to determine which zone of your face is critical and primarely in need of fillers in order to obtain optimal effect, for instance by volumetrial correction of the entire face. The treatments are performed maximally painlessly, as we are acquainted with surgical anaesthetic techniques of the specific face areas. The effects are really FANTASTIC ! SO DO NOT WAIT ! Fillers on hyaluronic acid base are sensitive to temperatures over 42oC, so patients have to keep to the directions given to them in our clinic. If the treatment is performed for the first time, sessions may have to be repeated after 2-3 weeks. IT IS NECESSARY TO KEEP TO A CERTAIN SEQUENCE OF PROCEDURES AND PRACTICE REGULAR MAINTENANCE IN ORDER TO NOT ONLY OBTAIN, BUT ALSO SUSTAIN THE EFFECTS OF WELL-CARED FORSKIN. WE WISH TO UNDERLINE THAT IT IS NEVER TOO LATE TO START, ONLY IN THAT CASE MORE TREATMENTS WILL BE NECESSARY. YOUR EXPECTATIONS HAVE TO BE REALISTIC. REJOICE AT EVERY, EVEN THE SMALLEST IMPROVEMENT!